Systematic Automation has been making screen printing machines, UV curing machines , flame treatment machines , and vacuum tables for over 30 years. We are the world’s largest manufacturer of precision manual, semi-automatic, and automatic machines with our ultra-modern 40,000 sq ft manufacturing facility and headquarters in Connecticut, USA. Systematic Automation and has been engineering low cost, high quality and proven solutions since 1983. Print all of your flat & cylindrical products. Training & immediate support provided. Over 30 years of designing and manufacturing knowledge. For UV curing your flat and cylindrical products. Proprietary system reflects 98% of UV energy. Universal tooling – no changeover required. Adjustable burner height and angular position. Geneva drive mechanical indexer will last you decades of heavy use. Increase the ink adhesion of your products before screen printing. Industry leading flatness of +/-.001” per linear foot. Vacuum tables made for your process. Over 30 years of design and manufacturing knowledge. For 35 years customers have come to us with a product they need screen printed and we provide the solution. Whether your printing lanyards or napkins, we have you covered. From shot glasses to growlers, we have your solution here. From printing oil filters to chainsaws, we make machines for them all. Systematic Automation is the world’s largest manufacturer of precision screen printing machines, vacuum tables, cylindrical flame treatment systems and UV curing systems. Backed by more than three decades of manufacturing expertise and innovation, our time tested and proven systems continue to set the standards for screen printing today. We will provide you with labor saving solutions such as our automatic and semi-automatic machines for your production processes. It does not matter if you are new to screen printing, we will answer any questions you have. The design simplicity of Systematic Automation machines do not require skilled labor and every machine purchase comes with a free day of training at our factory in Connecticut. Contact us today for a labor saving system for your application. The Model F1 system was designed for simplicity, versatility and reliability. It is completely pneumatic, with no electrical components to become obsolete or burn out. The first Model F1, manufactured in 1983, is still in operation today. It was designed with the operator in mind, no skilled labor required. Visit this section to see all models of our screen printers. For information on curing your flat & cylindrical products, click here. 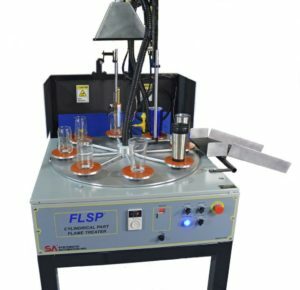 For flame treating your cylindrical products, click here. The Model SST can print up to six colors in one machine cycle with super precision accuracy, at an affordable price. The SST is the only screen printing machine in the world that allows you to change the sequence of color laydown without moving screens, squeegees, or flood bars. Automatically double or triple print color with the user friendly touch screen interface. You can also precisely set individual curing exposures and do it all with one UV light source. The simple and modular design allows service and maintenance with basic tools. There are no complicated computers or dedicated control boards to become obsolete or burn out, just the most rugged machine and reliable control system.The Super ROI comes integrated with the Systematic Automation Ultra Light UV System. The Super ROI may have pretreatment options such as flame treatment or plasma jet. The modular design allows the system to be tailored to your specifications. Systematic Automation screen printing machines can handle a nearly infinite variety of products. We manufacture machines that can print on cylindrical, flat, rigid and flexible products. Our machines are designed to lower your printing costs, and increase your productivity. Systematic Automation is a leading manufacturer of flame treatment equipment such as our patent pending flame treatment design to provide 360 degree coverage of all types of cylindrical products. For both conventional UV curing systems and LED curing, Systematic Automation has you covered. From equipment design to after sale servicing as well as parts, Systematic Automation prides itself in being a one stop shop for all your UV curing needs. 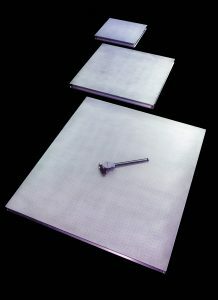 For over 30 years our vacuum tables have been designed and manufactured to the highest possible tolerances. 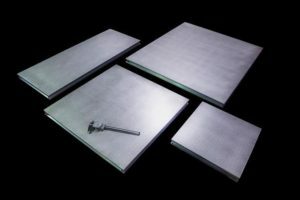 Because we offer so many different options, we can customize vacuum tables for your specific vacuum application. 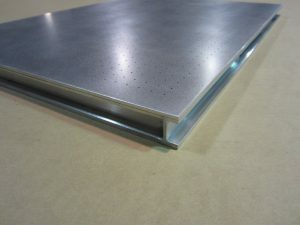 We also have extensive experience in providing vacuum tables with CNC capabilities. 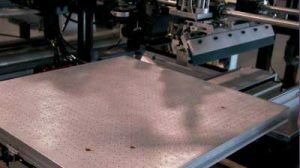 Contact us today and let us create that vacuum table that is just right for you. At Systematic Automation, we strive to increase the productivity of our customers through world class screen printing machines, uv curing systems and vacuum tables.